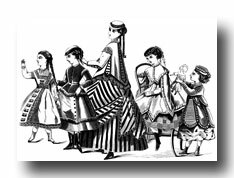 These detailed line drawings of Victorian Children are from the 1868 annual of Peterson's Magazine. 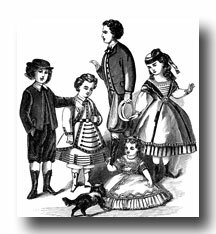 Each month they would have a different illustration of the latest in children's fashions. 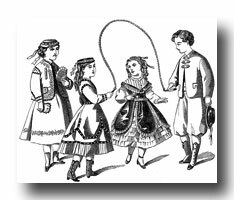 I hope you'll enjoy these pictures of Victorian Children. 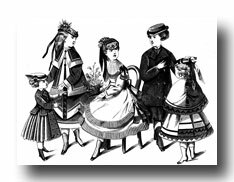 Be sure to check my Public Domain Images often. More pictures are added regularly. 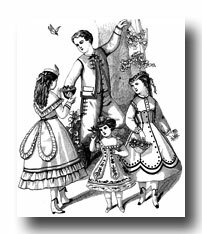 Click on one of the Victorian Children to enlarge it in another window. 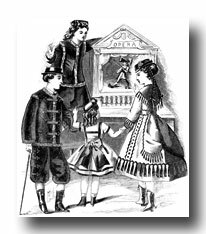 Want to be notified when more images of Victorian Children are added to Karen's Whimsy?